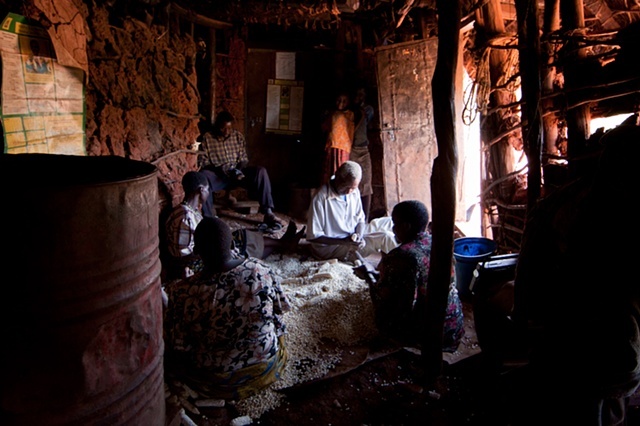 A family removes sun dried maize kernels from the cob so they can be stored. This is a task that can take many days, and gives the family time to sit around, tell stories, and catch up on gossip. Many families also make a thick maize brew to help pass the time.